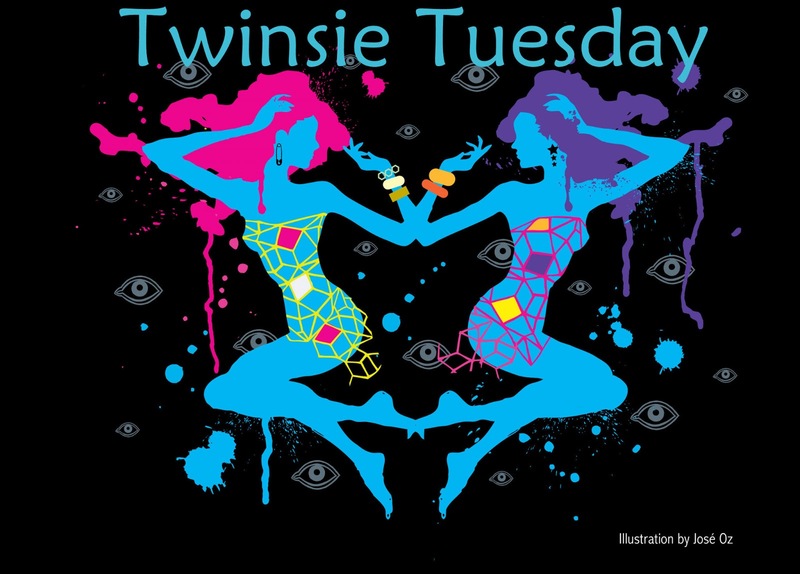 This week's TT theme is something a little different! This week the theme is our nail care routine, which... is a thing that I don't have. I file my nails down when I think they're getting long. Sometimes I hit 'em with some cuticle remover. Lemony Flutter as needed, the occasional buff, and that's about it. I don't have much to share in the way of nail care habits or tips--to be honest, I don't even know if I'm filing my nails right or not. But I do like my cuticle remover, so some nail art happened, to match it. Maybe once a week (and probably more often than I technically need to), I coat my cuticles with some Sally Hansen Instant Cuticle Remover (Maximum Strength). After I let that sit (for probably longer than I technically need to), I push my cuticles back with an orange stick. When I'm finished, I scrub around my nails with one of those nail scrubbey brushes and some soap and warm water, and my cuticles are once again tame and demure. It's a highly unscientific routine that I don't pay much attention to, but the Sally Hansen remover works so well that I don't need to think much about it anyway. It's easy, and I really, REALLY like easy. Because when in doubt, flower nail art, that's what I decided to do. Most of my blues tend to lean either teal or dusty, but an exhaustive search determined that OPI Can't Find My Czechbook was my best match for the Sally Hansen bottle. On top of that I did some little flowers in white and darker blue, basically a brighter, busier version of these nails that I did last May. I really have been meaning to get one of those "nail care routines"...I'm betting, though, that my fellow Twinsies will have some good suggestions this week that I can try out for myself! I love how you matched your mani to your cuticle remover! I just bought this same cuticle remover a few weeks ago! I've only used it once, so I can't judge if it's making a difference or not, but I've heard great things about it. I love that you did a matching mani! I don't really use cuticle remover but maybe I should start! I'm going to have to try this. I haven't really been using a cuticle remover but if it's that easy, I'll have to give it a try. Thanks for posting!! 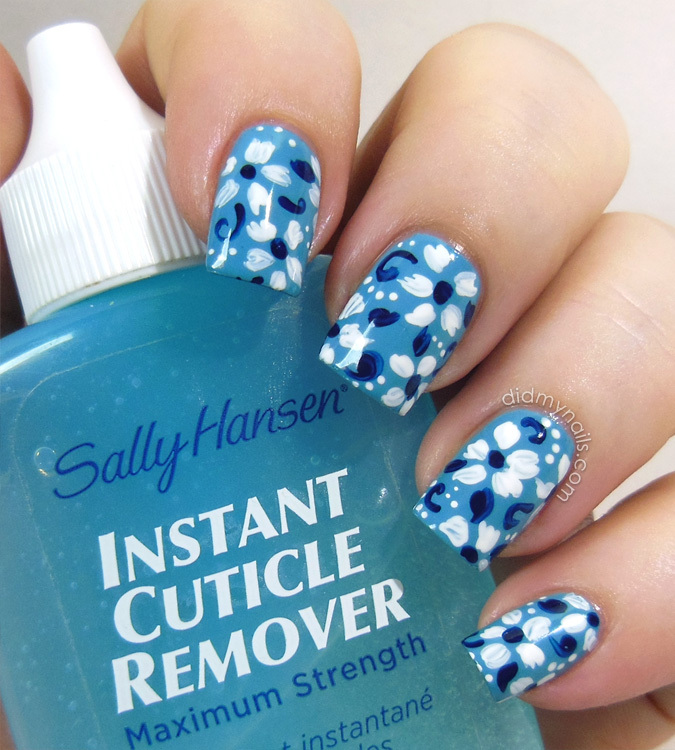 this is the cuticle remover I want to try out next. 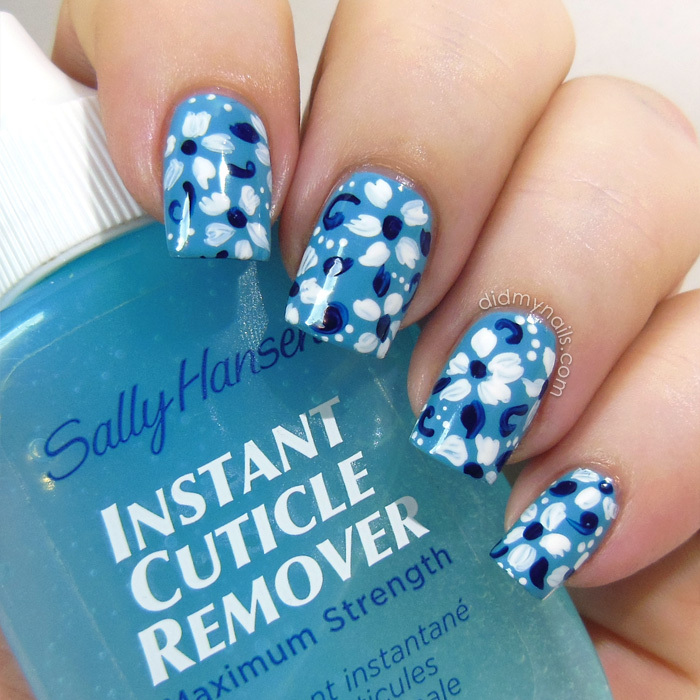 Your cuticles really do look amazing :D Great mani to match the cuticle remover! I love this cuticle remover. It's the best I've tried. And it does work really well. I only have to use it maybe once or twice a month now, I don't really keep track. Beautiful mani and that cuticle remover works really well! Your routine seems so easy and you have such nice cuticles! omg! i think i will try this, its absolutely beautiful and i just love the colors you used. I love this!!!! The nail art and the post!!! This is amazing! I've been searching for something to help out with my cuticle problems. I hope I can find this in Hong Kong. Where did you buy it?